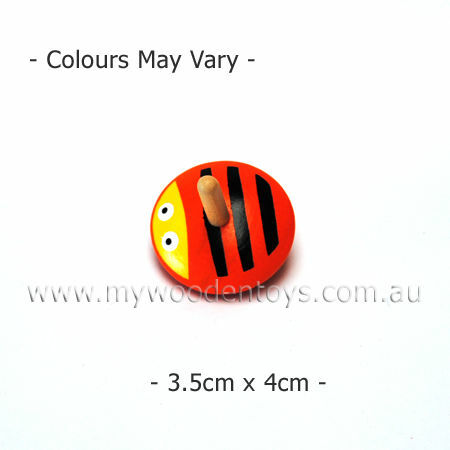 Mini Insect Spinning Top is a sweet little wooden spinning top. This smooth little top is very nicely weighted and spins easily and for a long time it has a fun green insect theme. It is really fun to try and get it spinning and watch the little painted top blur. Spinning tops are a wonderful toy for fine motor skills and great fun to master. We like this because: "Happy bright little top."